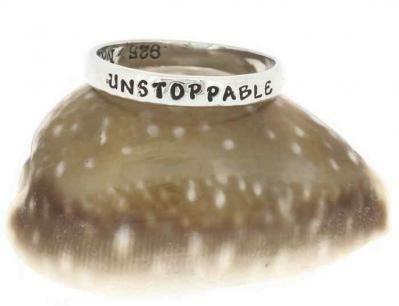 "Empowered, ""Unstoppable"" Sterling Silver Ring"
The Unstoppable inspirational jewelry rings are a great reminder for any woman/girl that she is unstoppable when she fights for what she deserves. Our stamped Unstoppable ring is a simple statement of a dogged determination. This listing is for the single ring.